After two bleak weeks for bulls and fatted salmon for bears, the markets reversed with impunity last week. 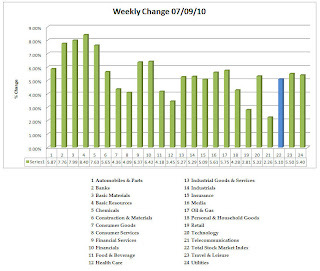 Not only were the 24 sectors above positive, but there was nary a negative sector in the 148 subsectors. As is usual, I prepared a sector report for you. You may download the PDF here. I also created for you (from FINVIZ data) the short float change from 06/25/10 to 07/09/10. 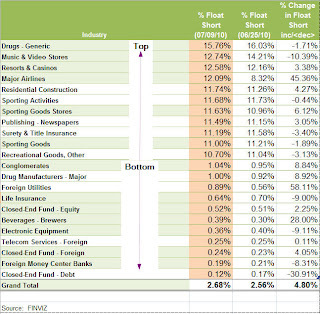 It is included in the weekly sector report, and it has a primary sort on highest short interest to lowest by the sectors used by FINVIZ. With quarter end behind us and earnings season upon us, actual v. expected earnings surprises combined with guidance for the balance of the year are likely to be critical to sustaining the current move down or reversing. We are witnessing an epic bull/bear battle at these lines. I wished I could tell you who was going to win. I wish you good trading next week. 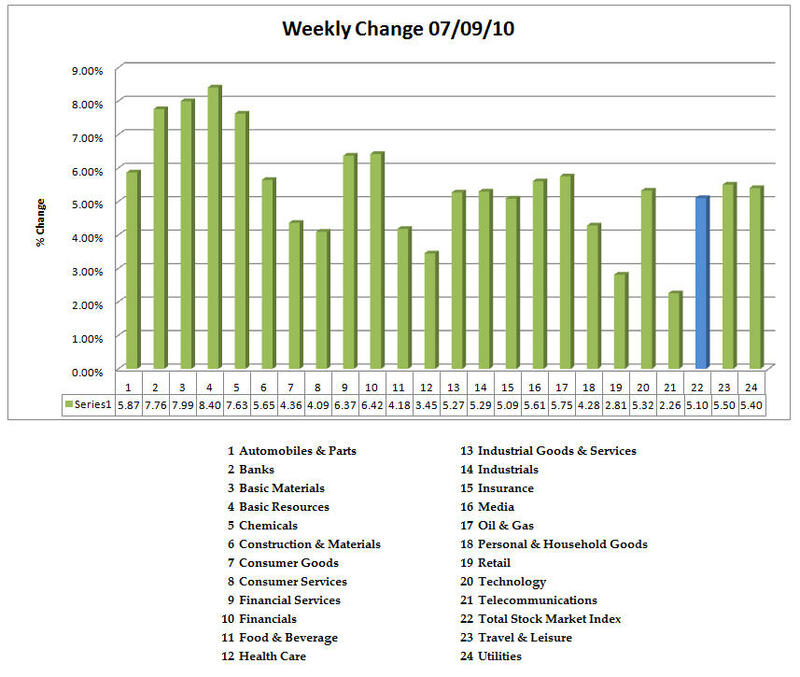 I'm reading: Weekly Sector Report | 07/09/10 (by Leisa) $$Tweet this!